The bioelectric potentials associated with muscle activity constitute the Electromyogram, abbreviated as EMG. 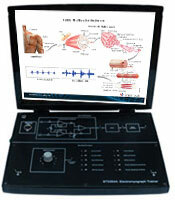 Understanding of Electromyograph, Scientech Techbook 2354A provides in-depth study and observation of electric potentials generated by the muscles. 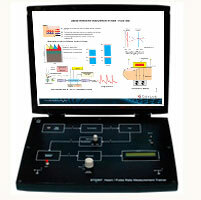 Scientech Techbook 2354A enables EMG signals observation by affixing pre-gelled Ag-AgCl surface electrodes at the surface to the body near a muscle of interest. Thus EMG measurements are intended to obtain an indication of the amount of activity of a group of muscles, rather than of an individual muscle fiber. 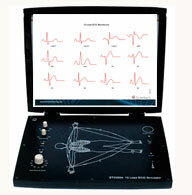 Scientech Techbook 2354A also consists of built-in EMG Simulator to generate simulated EMG signals. 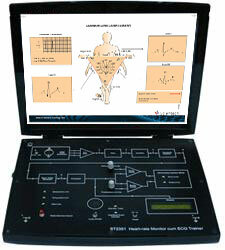 This Simulator is provided for internal EMG analysis as on the educational level we cannot provide any invasive technique of penetrating needle electrode into the muscle. 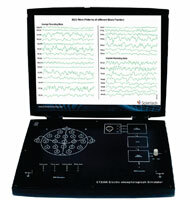 The Simulator gives the information about the 10 types EMG patterns viz. Normal EMG, Excited EMG, Raw EMG Data, 100Hz Filtered, 250Hz Filtered, 1 KHz filtered, EMG at 0.53Hz, EMG at 53Hz, Power Spectrum at 0.53Hz, Power Spectrum at 53Hz. 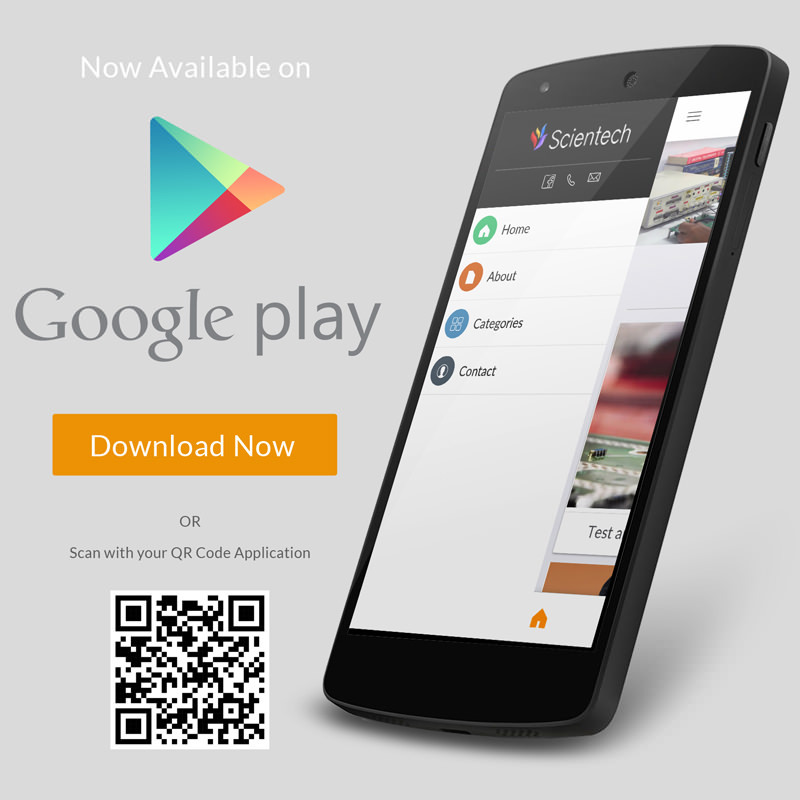 Scientech-2354A, Understanding of Electro-myograph is an ideal platform to enhance education, training, skills & development amongs our young minds. Provides amplified real time EMG output. Provides information about 10 simulated EMG outputs. Visible LED indication for all the simulated EMG outputs. Study of bioelectric potential generated by group of muscles. 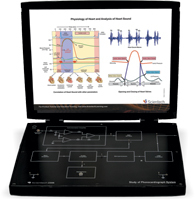 Study of real time analysis of EMG signal (Surface EMG). Understanding of different standard EMG wave patterns like: Normal EMG, Excited EMG, Raw EMG, Filtered EMG etc.